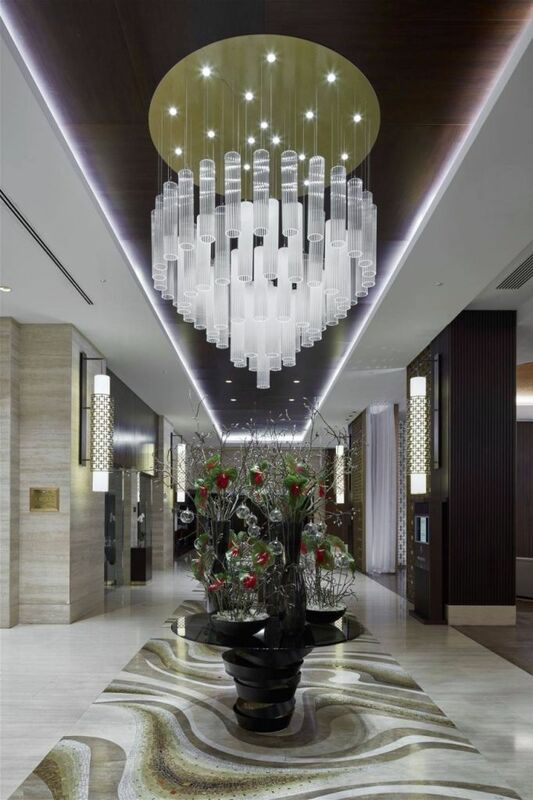 Boulevard Hotel Baku, an Autograph Collection® Hotel, is set in the heart of Baku White City district. 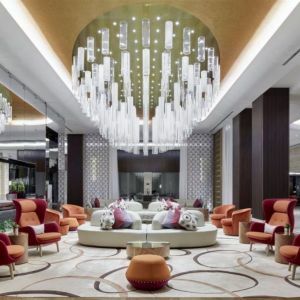 The largest conference hotel in the country is set along Baku´s seafront promenade and offers unobstructed views of the Caspian Sea. 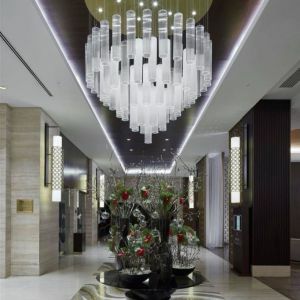 The hotel has a magnificent pillar-free ballroom of 1,300 m2 with natural daylight and a spacious pre-function foyer, perfect for hosting events of over 1,000 guests. 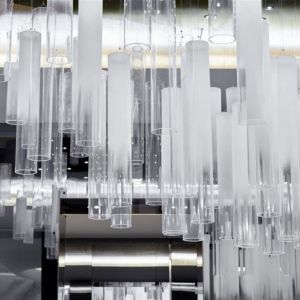 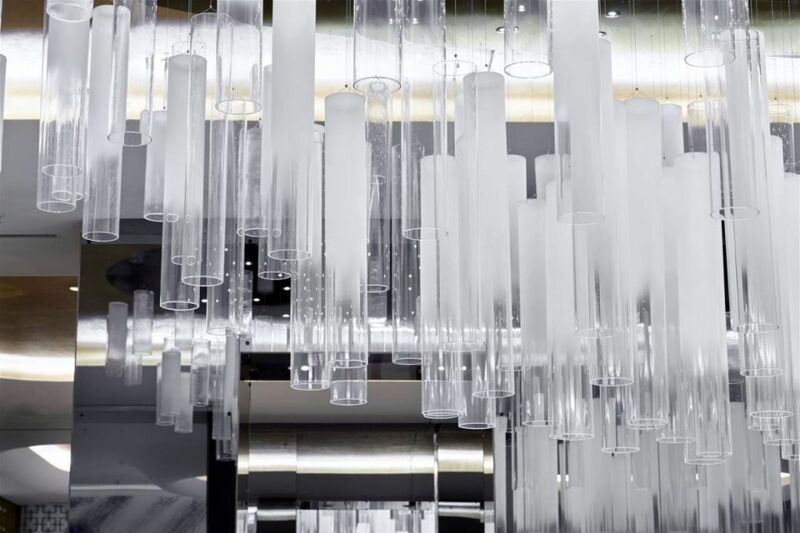 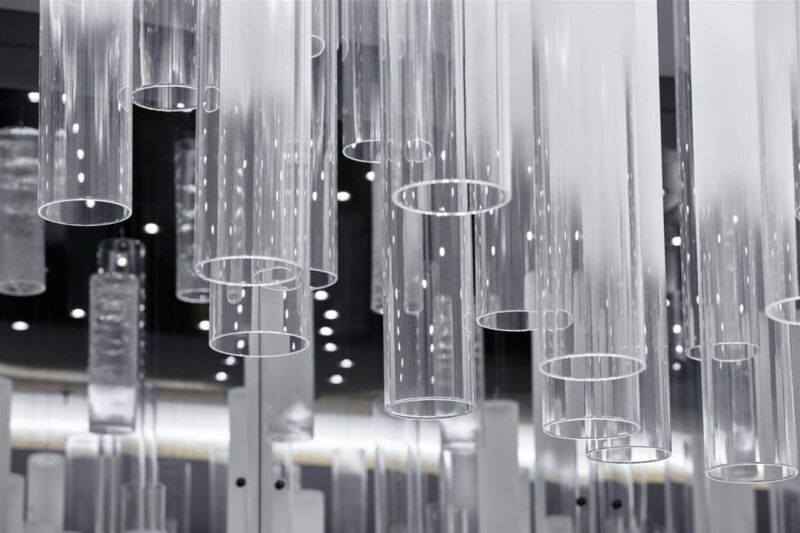 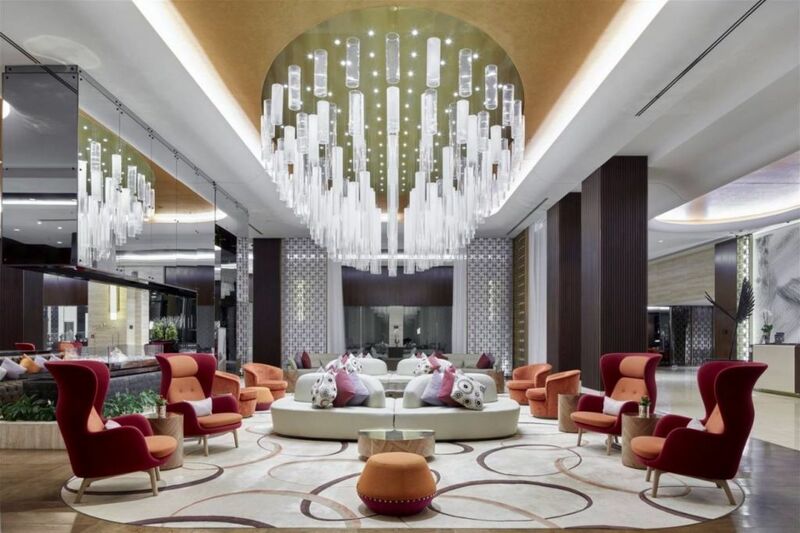 Preciosa, in collaboration with MKV Design based in London, developed a magnificent chandelier for the Lobby Lounge, composed from hand blown glass tubes. 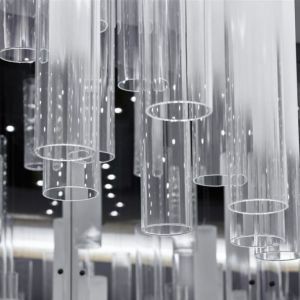 The tubes are of various designs and finishes – from frosted, crystal and frosted glass segue to crystal glass.